Some office lunchtime smells can be gnarly — leftover shrimp scampi, for instance — while others are contagious. Barbecued meat, fries and curries all fall into this latter category. One whiff can alter your own lunch plans. Earlier today, when the spicy aromas from a coworker's chicken tikka masala wafted through the office, my lunchtime fate was sealed. "Where'd you get that?" I asked. Not from an Indian place, it turned out, but from City Market, which my coworker praised for serving up consistently delicious grab-and-go meals. I'd have to agree. City Market is like the sleeper of the Burlington lunch category, the place where I turn when I'm in a rush but totally indecisive. When I get there, I know there will be sandwiches and feta boreks and empanadas and peanut noodles and sometimes even tagine to choose from. An army of talented cooks of all backgrounds works behind the scenes there — and a secondary army of talented producers delivers ready-made meals each day. It's easy to take the place for granted. 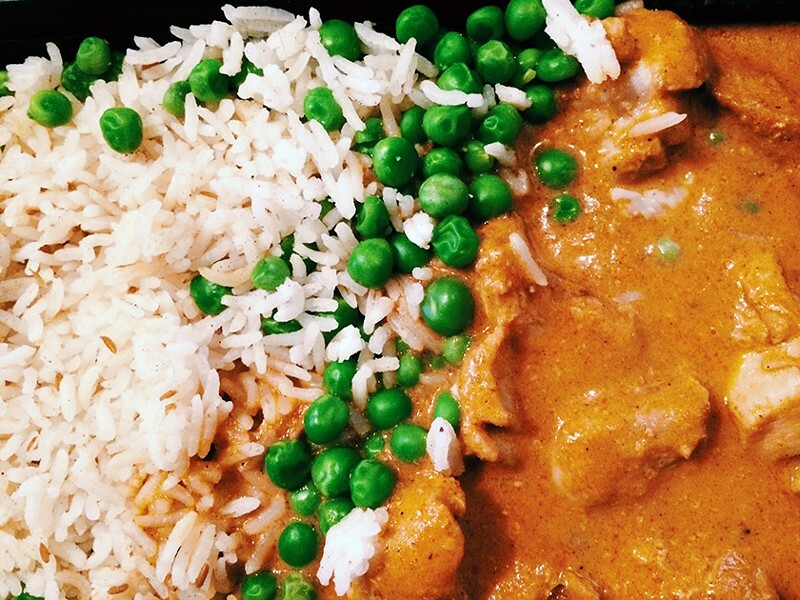 After I procured my own $7.99 tikka masala today — and tucked into cardamom-scented rice, tender pieces of meat and a creamy, coriander-flecked, slow-burn sauce — I thought about how many times City Market had saved what I thought might be a "sad lunch" day. The only thing I needed to add was my own off-the-cuff raita, with cukes and yogurt from — you guessed it.